We offer a range of parties to suit all age groups and interests. Choose from dry and wet sports and why not let us take care of the catering too. Below is details of our most popular party options, but if you would like something a little different contact us and we will do our best to accommodate your group. Take a look at our short video showing all the options. Once you have selected your party please complete our Party Enquiry Form. 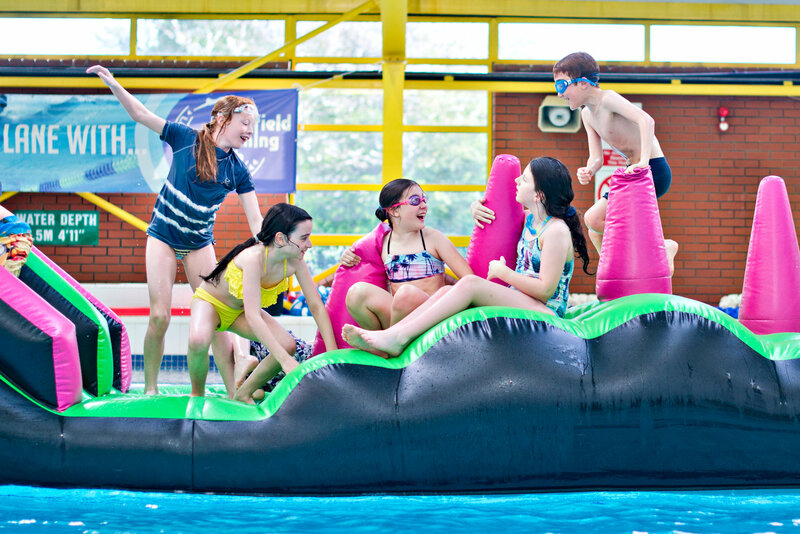 Larkfield offers a range of party option include private pool and Larkabout hire, or a range of party package. Take a look at the options and then complete our Party Enquiry Form. Larkabout private hire (10 years & under) Want to invite more than a few to your birthday? Then why not hire Larkabout and the bar area for your exclusive use. A Larkabout exclusive party is available from 6pm to 9pm weekdays and 5pm to 9pm at weekends. It's such a great deal - invite up to 80 children for just £200. Bring your own food or organise a hot or cold buffet with caterers Aqua Cafe Bar. Exclusive Inflatable Pool Party The Fitness Pool, complete with giant inflatable and water toys is available for private hire for up to 80 guests. At just £180 Priority Card | £200 Casual User these hour-long parties can be booked on Saturday at 5.15pm, 6.30pm and 7.45pm. In addition, our caterers can provide hot and cold food options to suit your budget. Please note that the Child Admission Policy applies. 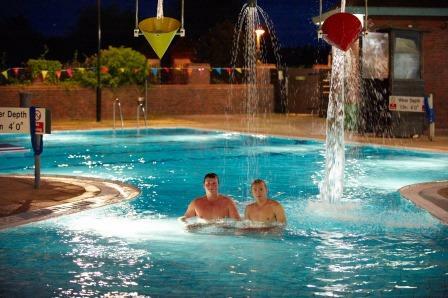 The Leisure Pool with Features is also available for private hire for just £220 an hour on Saturday from 8pm to 10pm. Our party packages include the party of your choice, invitations, hot or cold buffet and a party host for sports parties. Parties last for 60 minutes (Larkabout and Pool Parties for 90 minutes) followed by food. Bookings can be made up to 6 weeks in advance, application forms received outside of the 6 week booking period will be returned to the party organiser. Toddler Time @ Larkabout offers adventure and excitement for pre-school children. Invite your friends and enjoy exploring three levels of play equipment. Available weekdays until 3pm, term time only. £9.30 per child, Maximum 30. Larkabout Parties (10 yrs & under) Three floors of play equipment, crawl tubes, ball pool and wavy waterfall slide offer great fun and adventure. £11 per child, Max 30. Football Fun A great party for budding football stars aged 5 years and over. Our party host will organise you and your guests into teams and lead you through organised games and skills in the Sports Hall. £119.50 up to 10 children | £179 up to 16 children. Tramp Time Our qualified coaches will show you and your guests some basic trampolining skills and techniques and get you engaged in a variety of high flying games. £119.50 up to 8 children | £179 up to 16 children. Pool Party Have a splashing time in the pools, on the slides and enjoy the exciting water features including the Lazy River Rapids. £10.80 per child maximum 16. Please note our Child Admission Policy applies. Available at weekends and selected mid-week times, our party packages include a party host. To round off your celebrations you can hire one of our rooms and provide your guests with a special birthday meal. Please note party bookings can be made up to 6 weeks in advance. When you have selected your party please complete our Party Enquiry Form. Games Zone Party (7 years +) offers a fun-packed hour of organised mixed games and races for you and your guests. Maximum 24 children - costs £85. Fun Zone Party (under 7) is guaranteed to wear out the most active children. 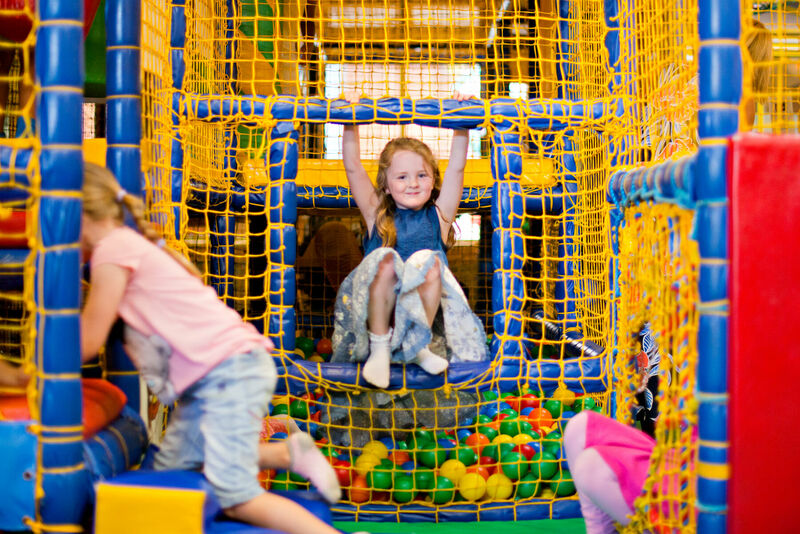 It includes use of our soft play equipment, activity bouncer and trampoline - available at the weekends. Maximum 20 children - costs £95. Soccer Zone Party (7+) A great party for budding soccer stars. Our party host will organise you and your friends into teams and lead you through organised games and skills. Maximum 20 children - costs £85. 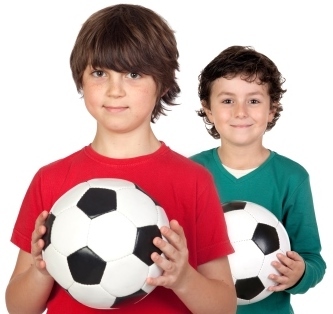 Sports Zone Party (7+) Choose your favourite sport to play it with your friends. 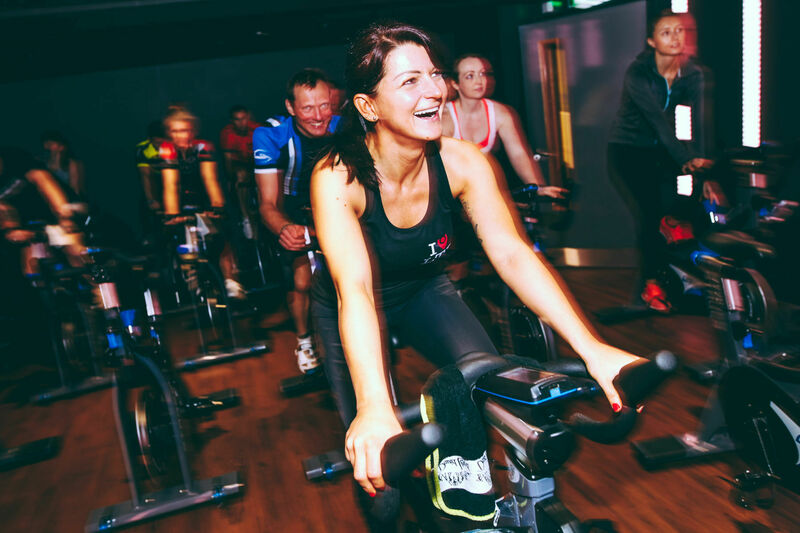 Choose from basketball, uni-hockey, roller skating, trampolining or racket sports. A double trampoline party is available for up to 16 children and includes two party hosts - costs £80, trampolining for up to 8 children costs £60. All other sports parties cost £85. Following your party why not hire one of our function rooms to hold your birthday meal. For only £35 we can provide you with a dedicated room where you can entertain children and provide them with their party food and best of all no mess to clear up afterwards! Tonbridge Swimming Pool is ideal for children's birthday parties and private functions, as well as galas and events. Available to hire weekend evenings, facilities include the superb indoor pool and outdoor pool and Spa. The Cafe at the Pool can cater for all occasions and offers a set Children's Birthday Menu with hot or cold buffet options. Please note with all Pool Parties our Child Admission Policy applies. Take a look at the options then complete our Party Enquiry Form or call 01732 367449 to check availability. Celebrate your special day with an exclusive pool party. Both the Fitness and Teaching pools are available for your private use during the weekend. The Teaching Pool is ideal for children 8 years and under and includes a range of floats and toys to provide extra fun and games. 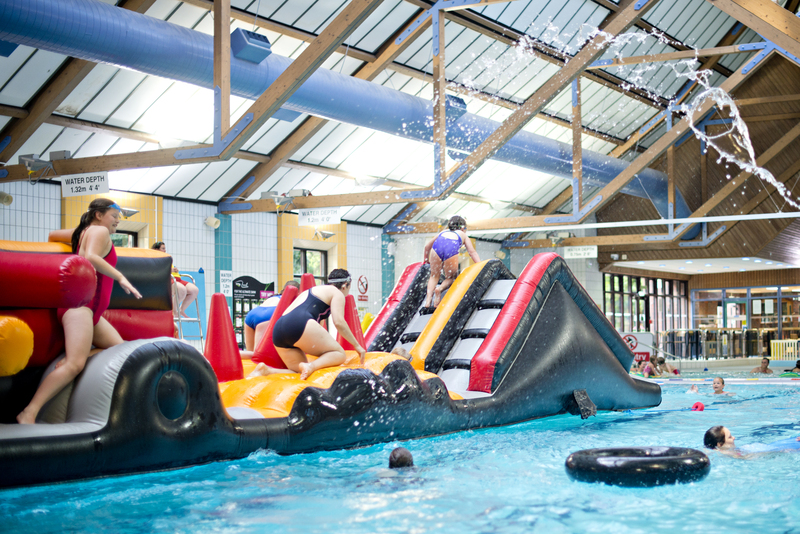 Those over 8 years can enjoy a inflatable pool party which includes a giant inflatable in the Fitness Pool, with obstacles to challenge the most energetic of children. Open April to September, the Outdoor Pool is the perfect venue for a summer event or get together. This extensive and picturesque facility can cater for up to 150 people and is available at weekends.